2017 marks 10 years of The Witcher game series. To celebrate this occasion we prepared special offers on all games from The Witcher franchise for PC, PS4 and Xbox. 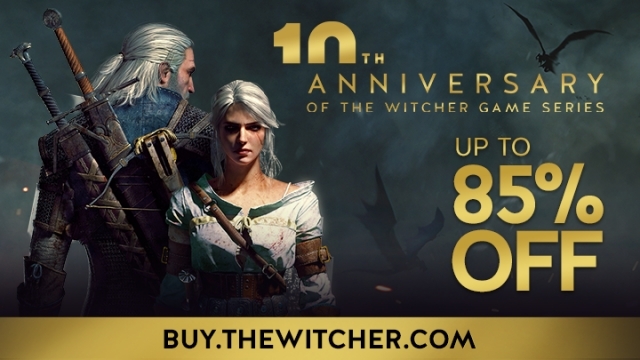 Go to buy.thewitcher.com, choose your platform and save even up to 85% on selected titles!